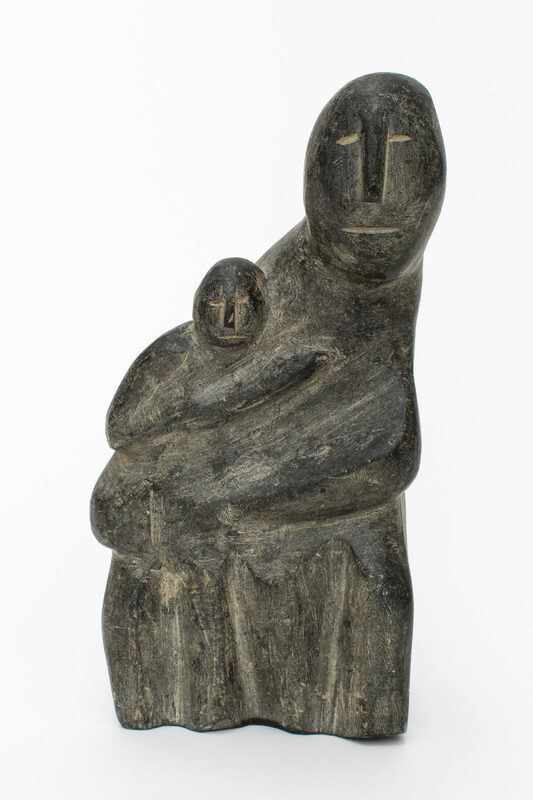 untitled (mother and child), c. 1975, basalt, 11.25 x 5.5 x 5 in. 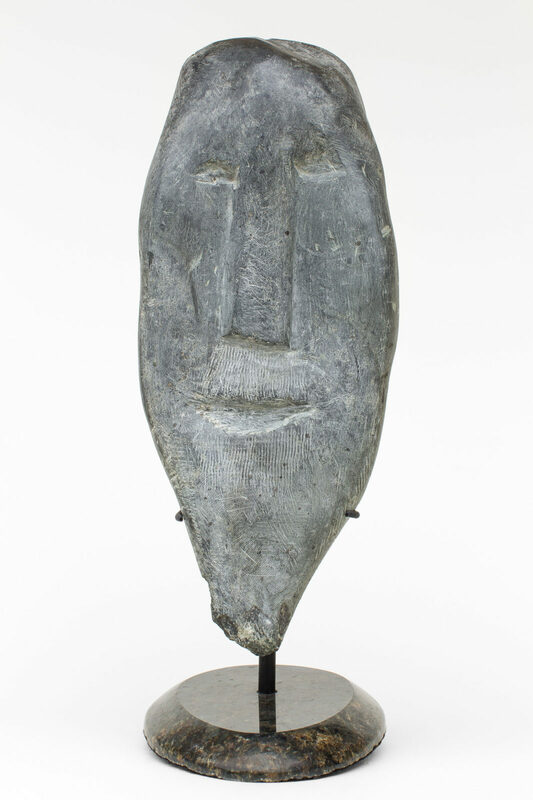 untitled (man giving fish to woman), c. 1970-74, stone, 7.25 x 9.5 x 3 in. 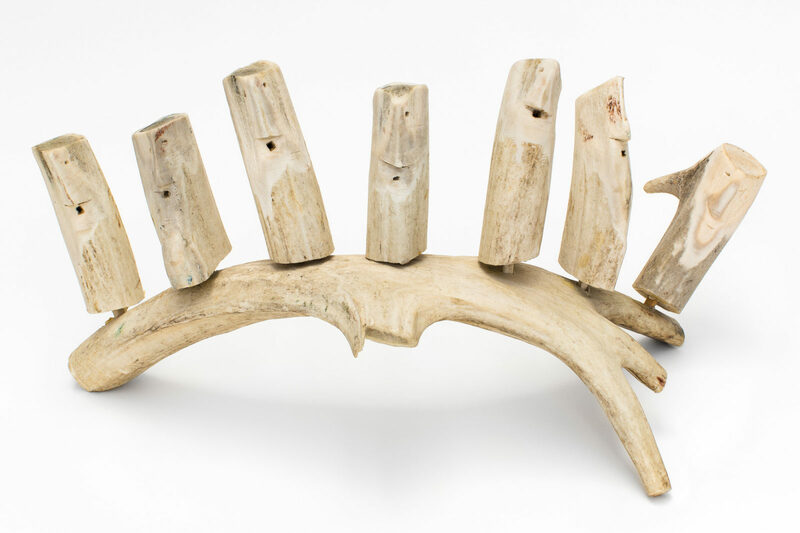 untitled (people), c. 1979, caribou antler, 8.5 x 15.5 x 10 in. 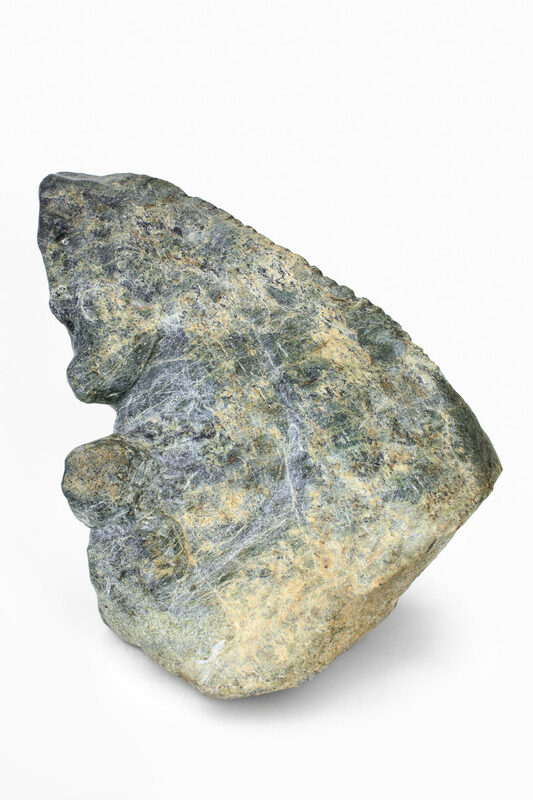 untitled (woman with braid), 1992, stone, 13 x 15 x 11 in. 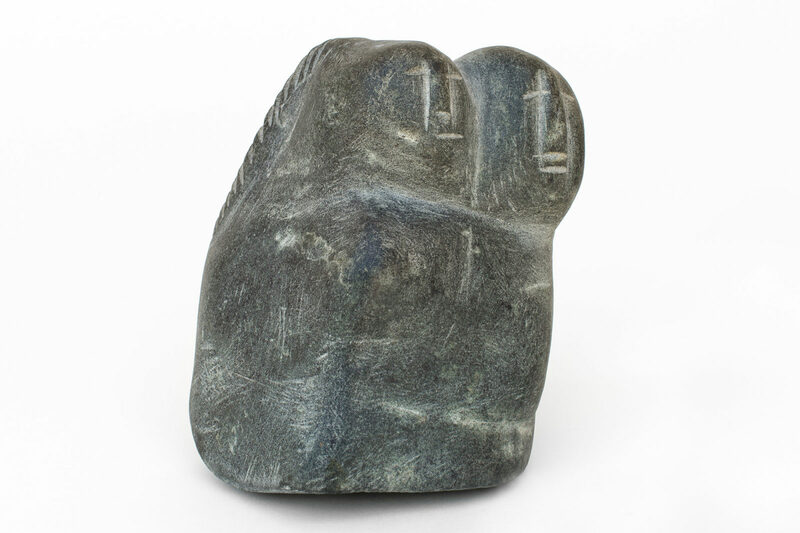 untitled (couple), stone, 4.75 x 4.25 x 3.75 in. 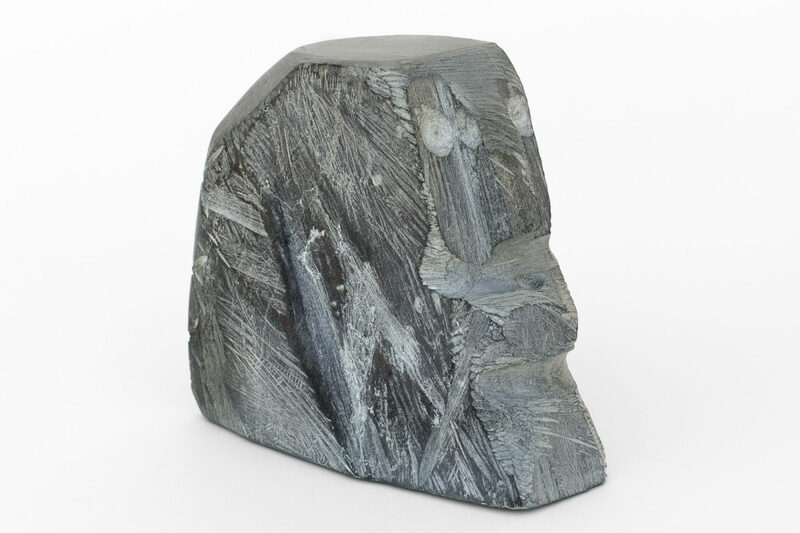 untitled (face with tattoo), c. 1980s, basalt, 14 x 5.75 x 2 in. 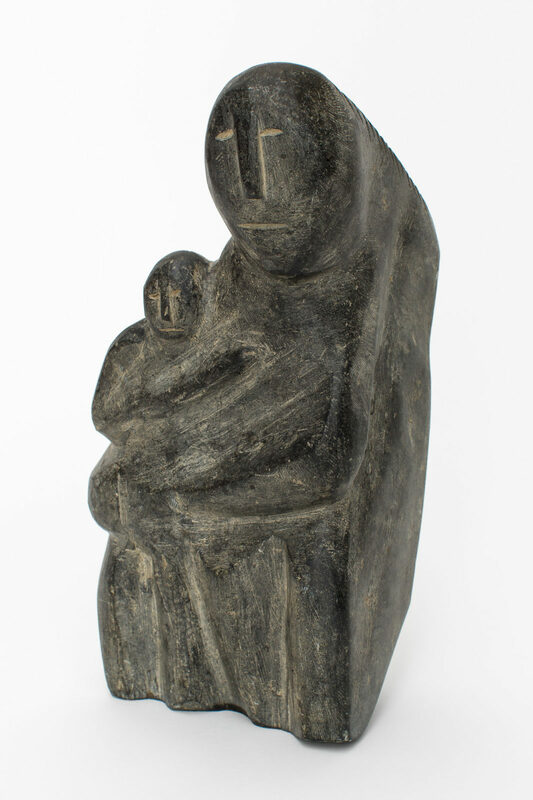 untitled (praying woman), c. mid 1980s, basalt, 8.75 x 5.75 x 2.5 in. 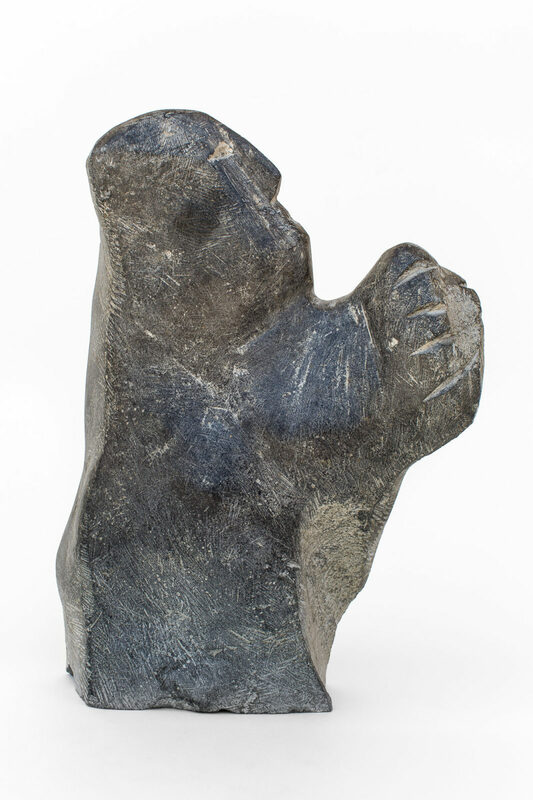 untitled (woman with braids), c. 1985, basalt, 5 x 3 x 5 in. 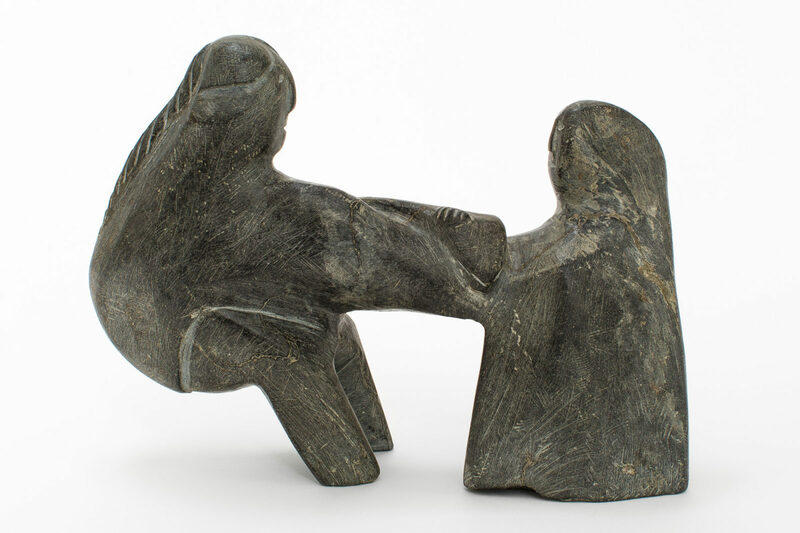 untitled (Inuit and Igloos), c.1980, melton cloth, embroidery thread, 19.5 x 62 in. 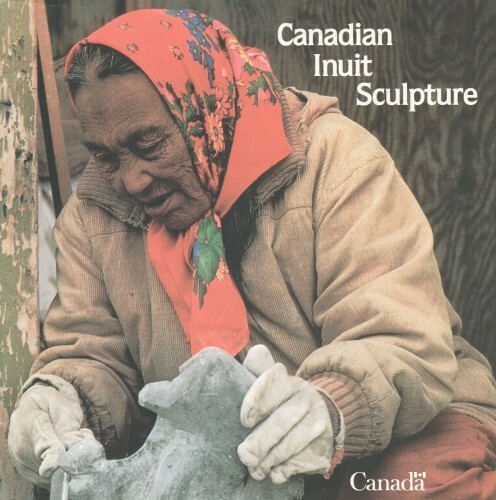 Daughter is Mary Ayaq Anowtalik.